Saustex Records is pleased to announce the upcoming release of Lords & Ladies, a split album (available 09/16/2016 on CD/Digital, 09/30/16 on LP) and the accompanying tour “Lords & Ladies Across The Colonies” that pairs Boston’s The Upper Crust and San Francisco's The Grannies, two of America's foremost purveyors of costume rock. The record promises to please fans of punk and hard rock alike. 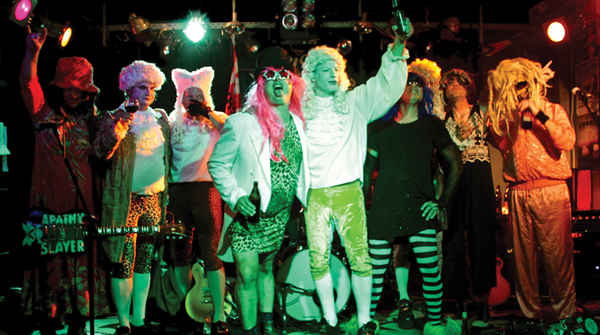 Though known for over the top stage antics, the bands deliver the goods in the grooves. 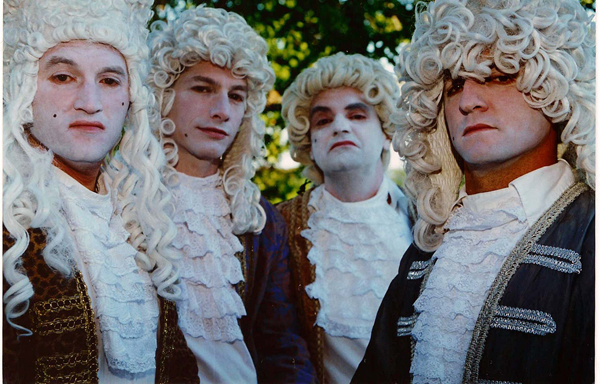 The Upper Crust reimagine High Voltage era AC-DC filtered through the lyrical lens of 18th Century nobles on this, their first new release since 2009‘s Revenge For Imagined Slights. 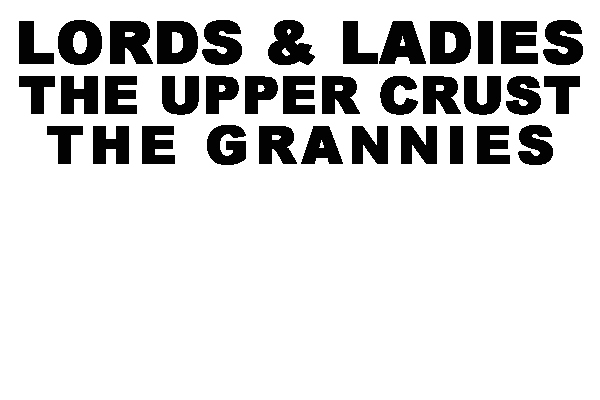 Meanwhile The Grannies bust chops with another fresh set of Jack Endino-produced tunes (Nirvana, High On Fire, etc.) that are reminiscent of grunge in its punk nascence and The Dwarves at their most chaotic. The tour brings the bands together again to offer American cities the kind of pummeling given to European audiences when they joined forces for a 10 day tour across the pond in 2015. 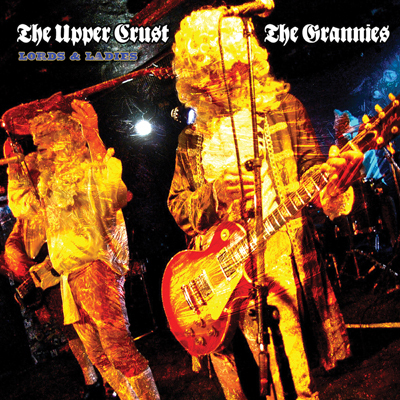 This will be the longest U.S. tour The Upper Crust has undertaken since the 90’s and the most extensive Grannies American tour ever. Oddsmakers in Vegas, Atlantic City and London are licking their chops as wagers are made on whether one or both acts will go the distance. 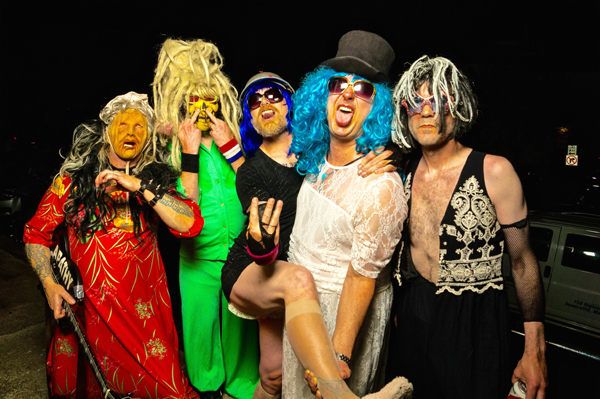 In spite of their lordly finery and/or predilection for thrift store dresses these guys are all rock’n’roll lifers and the finish line is part of the continuum, not the end. SATURDAY 10/8 - MINNEAPOLIS, MN -EAGLES 34.